Psychological testing is a process of testing that uses a combination of techniques to help arrive at some hypotheses about a person and their behavior, personality and capabilities. Psychological testing is also referred to as psychological testing, or performing a psychological battery on a person. Psychological testing is nearly always performed by a licensed psychologist, or a psychology trainee (such as an intern). Psychologists are the only profession that is expertly trained to perform and interpret psychological tests. 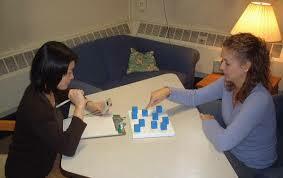 A standardized psychological test is a task or set of tasks given under standard, set conditions. It is designed to assess some aspect of a person’s knowledge, skill or personality. A psychological test provides a scale of measurement for consistent individual differences regarding some psychological concept and serves to line up people according to that concept. Tests can be thought of as yardsticks, but they are less efficient and reliable than actual yardsticks. A test yields one or more objectively obtained quantitative scores so that, as much as possible, each person is assessed in the same way. The intent is to provide a fair and equitable comparison among test takers. Norm-references psychological tests are standardized on a clearly defined group, termed the norm group, and scaled so that each individual score reflects a rank within the norm group. Norm-referenced tests have been developed to assess many areas, including intelligence; reading, arithmetic, and spelling abilities; visual-motor skills; gross and fine motor skills; and adaptive behavior. Psychologists have a choice of many well-standardized and psychometrically sound tests with which to evaluate an individual. Valuable information is gained through interviewing. When it’s for a child, interviews are conducted not only the child, but the parents, teachers and other individuals familiar with the child. Interviews are more open and less structured than formal testing and give those being interviewed an opportunity to convey information in their own words. Standardized norm-referenced tests may at times need to be supplemented with more informal assessment procedures, as such as projective tests or even career-testing or teacher-made tests. For example, in the case of a child, it may be valuable to obtain language samples from the child, test the child’s ability to profit from systematic cues, and evaluate the child’s reading skills under various conditions. The realm of informal assessment is vast, but informal testing must be used more cautiously since the scientific validity of the assessment is less known. In this method clinically approved psychological test are conducted to identify and appraise the employee. A feedback is given to the employee and areas of improvement are identified.